Anamorphic/Custom Lens Mounts are designed to customer specifications. Custom Projector Mounts for Special Applications – These mounts can be configured to suit custom scenarios in landscape or portrait orientation. Adjustable height is available. Optimize Image Quality with a Preventative Maintenance Agreement from IAstage. A Preventative Maintenance Agreement (PMA) is the best way to ensure that your imaging equipment is always operating at peak performance. Authorized distributors for Stewart Filmscreen. 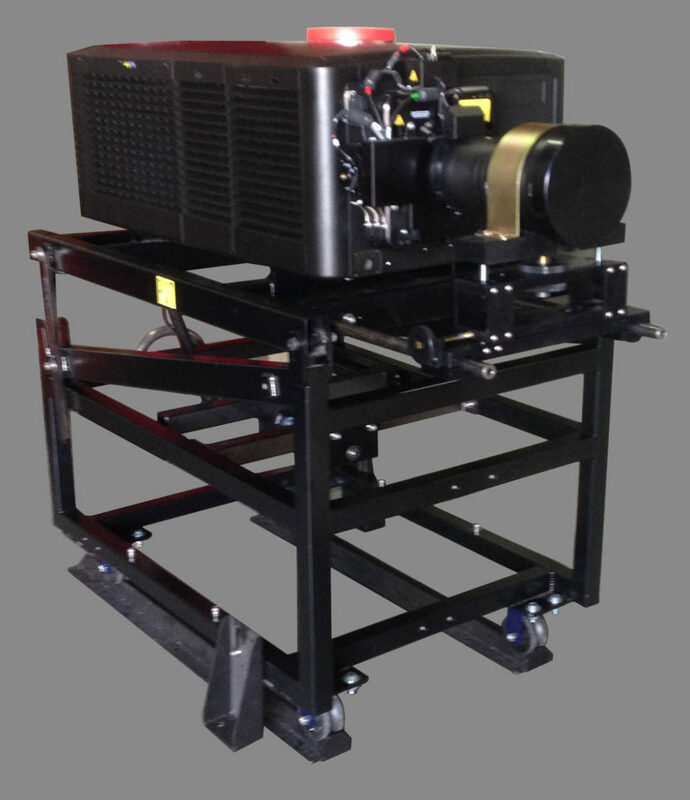 Complete projection system design includes room, booth and projection ports, lens and component selection to suit the environment, specialty mounts and stands for imaging equipment, first surface mirrors, screens, dousers, and shutters.